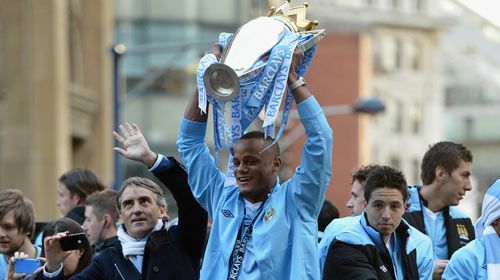 Manchester City’s captain Vincent Kompany will stay in Ho Chi Minh City with the Barclays Premier League Trophy from June 7-9 at the invitation of Eximbank. He is scheduled to meet with Vietnamese fans and get involved in some football and charitable activities. Kompany, 26, is also an important defender in the Belgian national squad. In the 2011-2012 he was assigned captain of The Citizens and one of the key players which helped the team win the Premier League title after 44 years. After Vietnam, he will travel to Malaysia and Singapore on a Barclays Premier League Trophy Tour of Southeast Asia.